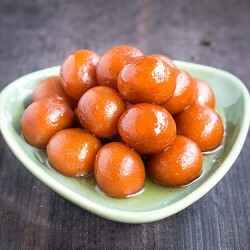 Half Kg Gulab Jamunn big size. Delivery time:- Same day delivery with in 2 hour Sweets from Kanha/LMB if delivery in Jaipur. For other cities sweets will be from local branded shops.